The Ohio Valley Conference men’s and women’s basketball tournaments return to Nashville’s Municipal Auditorium this week (March 4-7), and both Belmont teams have qualified for the post season tournament. After defeating Tennessee State Saturday, Belmont’s men’s team secured a 3-seed and will play their first game on Thurs., March 5 at 8 p.m. versus the winner of Wednesday’s match-up between Eastern Illinois and SIUE. Meanwhile the women’s team secured the 4-seed and plays their first game versus Jacksonville State on Thursday at 1 p.m., and the game will be broadcast live on ESPN3. Current Belmont students can reserve complimentary tickets both men’s and women’s games–click here for more information. For information on ticket purchases for all other Bruins fans as well as details on special promotions and tailgate events, click here. 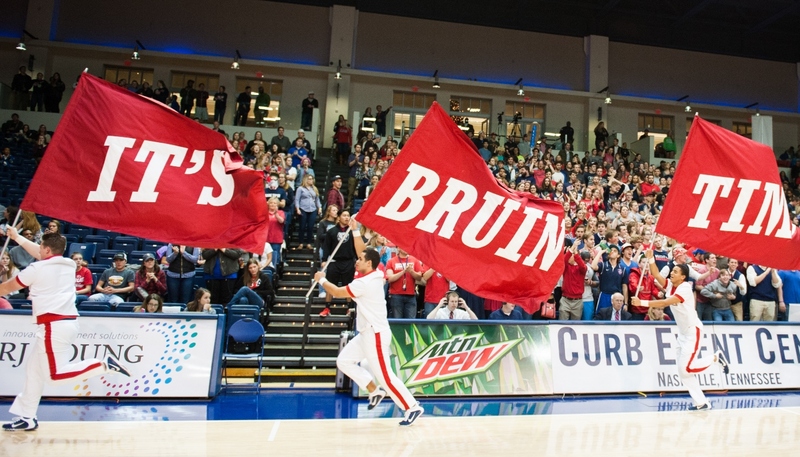 For more information on all Belmont Athletics, visit belmontbruins.com.